We design and build websites for startups, businesses and professionals. We are your online IT support staff. From design, web services, and online commerce. So you’re looking for a reliable Tech partner to design or redesign your website. You don’t want to get ripped off or deal with unscrupulous fly by night companies or solo freelancers. You hate excuses, and companies that talk big but always under deliver. We’re right with you! Osomnimedia is base in the Philippines. Our costs are lower, and we pass on those savings to you. Even though we’re in SE Asia, we practice American Business Standards. We work with American companies on a daily basis and understand Western quality. We’d like to think that our standards are much higher compared to our peers, and we back that up with our 100% Satisfaction Guarantee. We believe in OVER communication. We answer our emails and do our best to be transparent..
We think you’ll be very happy working with us. Contact us below or visit our office in downtown Davao City, Philippines. Thank you for the opportunity to serve you..
Our team can design a new or update your existing website to modern standards. Design your perfect personal, professional or corporate website based on your taste, features and needs. Whatever your website is about, let it reflect your industry, personality and professional occupation. We can develop your professional and corporate website using the Wordpress platform. We’ll work closely with you to design your perfect professional website with a custom domain name and email addresses. Sell online. Ecommerce is a growing channel and you can sell on the internet using the Shopify platform. We are Shopify Experts and we can design a custom Shopify Store for you. From design to inventory management. Social media engagement is important today. Speak directly to your customers through Facebook, Instagram, Twitter, Pinterest and other channels. Target your customer base and get your message out. Get followers and build your community. We can help you design your company logo, team t-shirts, company banner, mug, and promotional item. We’ll work with you to get your image just right. Hire your own Virtual Assistant. Work with our team to leverage your main skill sets and prioritize your time. Our VA’s can help keep you organized and be more competitive. Get more done and kill dragons while your VA’s fight off orks. Social media advertising allows marketers to reach their ideal customers using rich demographic targeting capabilities and tailored ad messaging. A good company logo is vital to communicating your objectives and vision to your prospective clients. Focus more on important task and delegate the small, repetitive, and time-consuming stuff to a virtual assistant. We are Shopify experts. From design, development and maintenance. 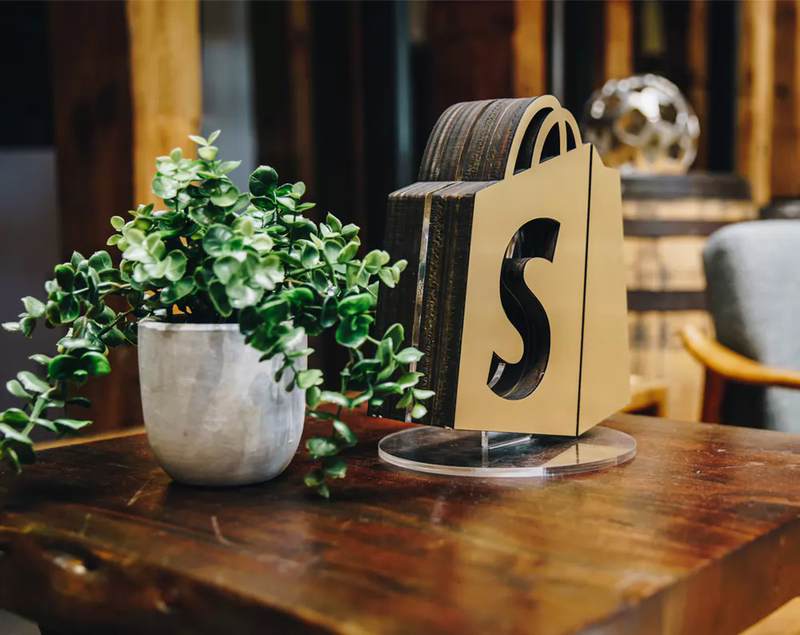 Shopify is a class leading e-commerce platform that’s recognized throughout the industry. If you want to sell products and services online, then Shopify is your clear choice. Top stores select Shopify to sell their apparel, automotive accessories, electronics, books, cosmetics and more. Learn more about how we can help you design your custom e-commerce store using Shopify. Wordpress is an ideal choice for your next professional, corporate or personal website. Flexibility and support is what makes Wordpress a dominant platform on the internet. Used by 68% of the websites online, you can’t go wrong... Our team can help you design, implement and maintain your next professional website using Wordpress. Advertise Online. We’ll make it simple. Youtube, Facebook, Instagram, Twitter, Pinterest and other social media platforms allow for a more intimate relationship with your customers and fans. Social media advertising allows marketers to reach their ideal customers using rich demographic targeting capabilities and tailored ad messaging. Social media also offers new opportunities to market yourself directly to your customers and build a lasting relationship with them. We are experts on engaging and creating a long term relationship with customers and presenting products to the world. OSOmnimedia is an IT support organization for your growing e-Commerce, web, service, professional, manufacturing or retail based business. Worked with them with an e-commerce site. They are easy to approach. Mr. Ferrer is easy to talk with and has a very wide understanding at his craft. He handles a very competent team. I think that's why our project was smoothly done. Coming to Osomnimedia Web Design Studio was never a mistake. They exceed our expectation especially making the layout for our Roll-Up Banner Standee and Backdrop to be used in our exhibit. They gave us the modern and catchy design that really fits into our business. I was looking for a label designer on the web specifically from Davao and I found OSOmnimedia, I sent them a message through FB and Mike responded. Overall experience was fulfilling, Mike was very efficient and accommodating.